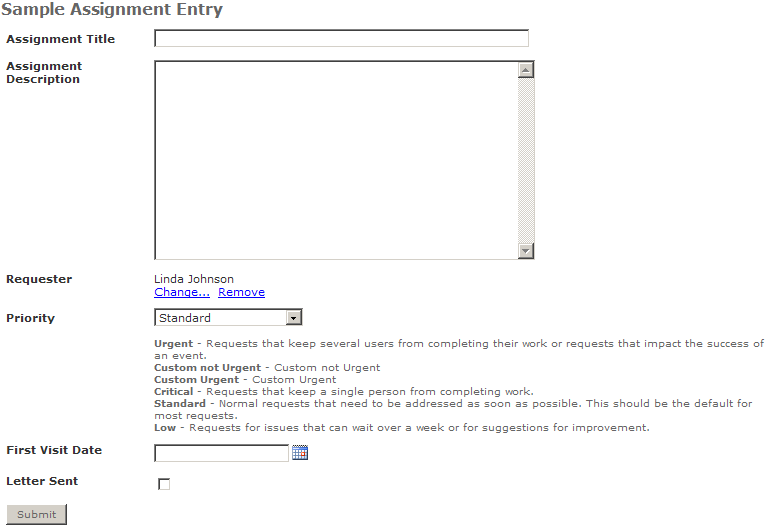 The assignment entry page allows users to submit assignment requests. Due to the customization options, Assignment Entry pages may vary. 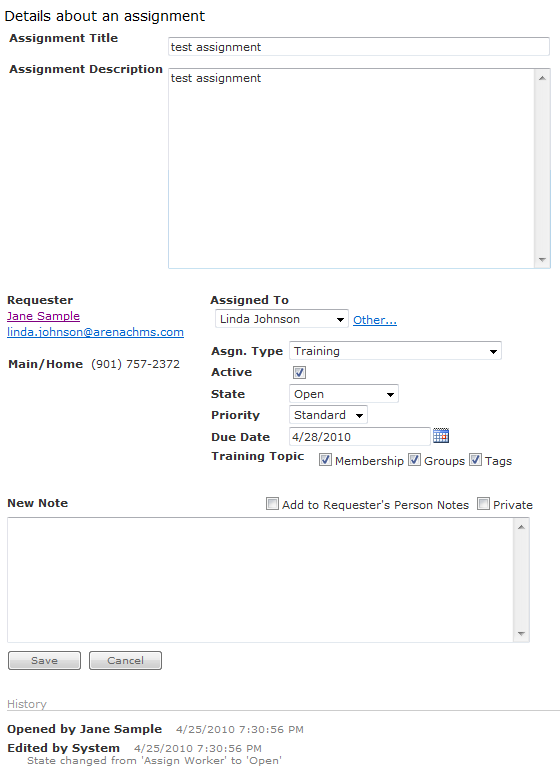 The below example provides you with an example of several Custom Fields. 1. Select the Assignment Type from the Assignment Entry page. 2. Complete fields, as needed. 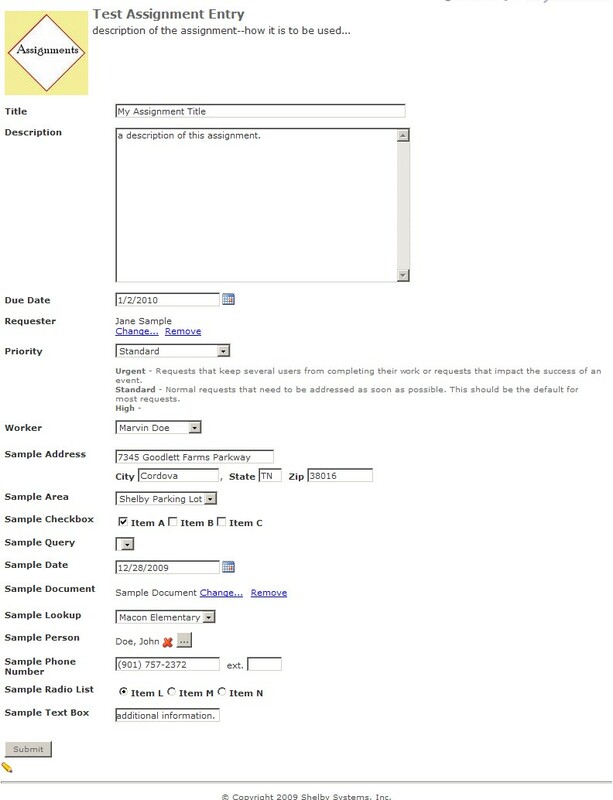 Due to the ability to use Workflow States and Custom Fields, your Assignment Entry page may vary. 3. Click the Submit button. An email is sent to the Worker. 1. Click the link from the Assignment email. 2. Click the Edit Details link. Fields may vary. 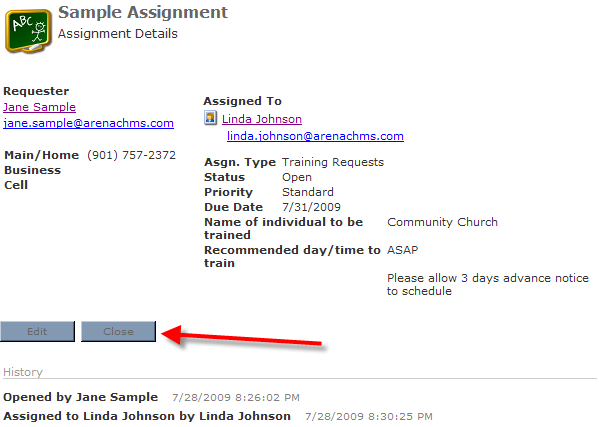 If you choose the option to email the requestor when users make changes, an email is also sent when closing the assignment. 3. Make the appropriate changes. 1. Click the link from the Assignment email or from the desktop link. 2. Click the Edit button to make any updates, or click the Close button if no changes are necessary. 3. Enter the Resolution for the assignment.